The Rev. Gennaro "Jerry" Gentile in 1971. The Archdiocese of New York has paid $750,000 to three men who were abused by the former Croton-on-Hudson priest when they were children. The Archdiocese of New York has now paid more than $40 million to 189 victims of priest abuse through the Independent Reconciliation and Compensation Program. The former Rev. Gennaro 'Jerry' Gentile in 1999 at Holy Name of Jesus Church in Croton-on-Hudson. 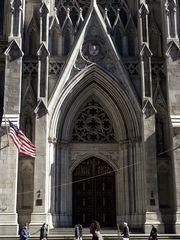 Gentile is one of a half-dozen local priests who abused children who were later compensated by the Archdiocese of NY. The Archdiocese of New York has paid $750,000 to three men who were abused as children by former Croton-on-Hudson priest Gennaro "Jerry" Gentile. An attorney for the three unidentified men said they were victims of ongoing molestation by Gentile — who once even wrote a children's book — while he was pastor at Holy Name of Mary Catholic Church in Croton from 1987 to 2000. Their settlements under the Independent Reconciliation and Compensation Program now bring the amount paid to victims of Catholic priest abuse in the archdiocese to more than $40 million. In all, 189 abuse victims received compensation. O'Connor said the three men wanted to keep their identities private. But he said they decided to pursue compensation after reading newspaper reports of the abuse. One of the men became incensed when he learned that Gentile actually wrote a children's book in 1978 titled "The Mouse in the Manger." O'Connor said the abuse remained with all three of his clients. The victim compensation program was announced by Cardinal Timothy Dolan last year to allow victims of abuse by Catholic clergy to receive a settlement if their claims could be verified. In March, Dolan announced a second phase of the program for additional victims to file claims. That deadline for the second phase was last month. The archdiocese's program offers the only compensation for victims because state law sets a statute of limitations on filing civil claims for childhood abuse. Since the abuse dates to the 1970s, the statute has expired on most cases. But victims who receive compensation must also waive their right to seek financial damages by other means. For many victims, an apology from the church and the acknowledgement that the abuse occurred has been the most significant compensation. The archdiocese does not provide names of victims who seek compensation and does not confirm cash settlements awarded to victims. However, the amounts have periodically been released by the victims and their attorneys. In addition to the Croton church, Gentile also served at St. Eugene Church in Yonkers, Immaculate Conception and Assumption Church in Tuckahoe, and St. Mary and of St. Joseph Church in Poughkeepsie. Gentile was "laicized," or removed from the priesthood, in 2005. At least five other Catholic priests who served in the Lower Hudson Valley were laicized for abusing children. All have had victims compensated by the archdiocese. • John O'Keefe, ordained in 1972 and served as president of Stepinac High School from 1992-2004. Also served at St. Margaret of Antioch in Pearl River. Removed from the priesthood, or "laicized," in 2016. • Francis Stinner, ordained in 1968. Served at St. John and St. Mary Church in Chappaqua, St. Joseph's Church in Bronxville, and John F. Kennedy High School in Somers from 1981-1989. Laicized in 2005. • Peter Kihm, ordained in 1981. 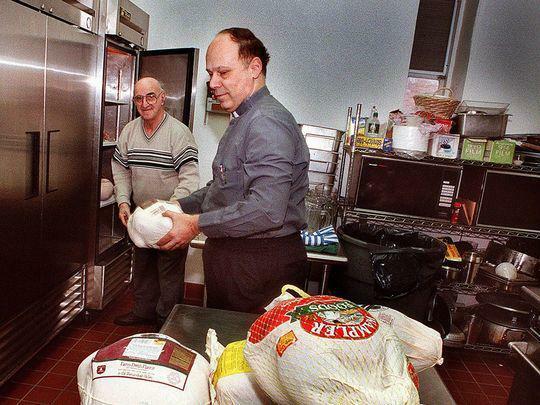 Served at St. Paul and St. Ann Church in Nyack, St. Ann Church in Ossining, and three locations in Poughkeepsie: Our Lady of Mount Carmel and St. John the Baptist churches, and at Our Lady of Lourdes High School. Removed from priesthood in 2016. • Ralph LaBelle, ordained in 1978. Originally assigned to Staten Island, served at Sacred Heart Church in Patterson from 1999-2002 before he was laicized in 2005. 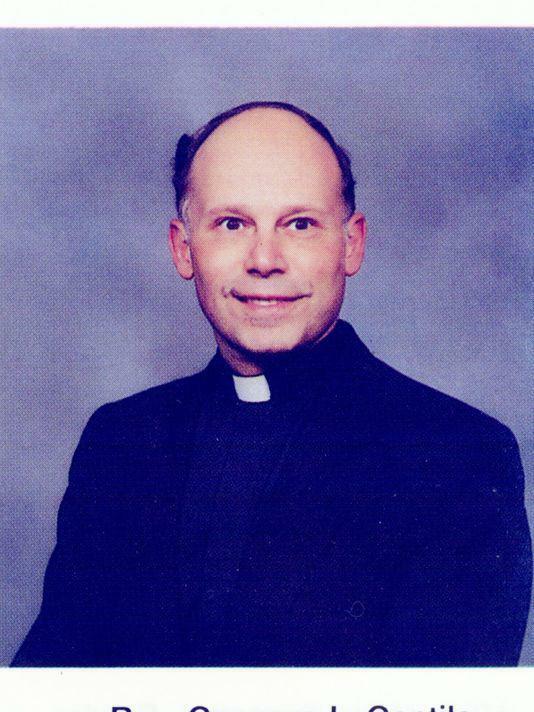 LaBelle is the only fallen priest among the six with two claims against him. • Richard Gorman, ordained in 1982. Spent most of his tenure in Manhattan, but served at Stepinac High School from 1987-1990. Gorman was suspended by the archdiocese in 2016.